I had originally planned on reviewing these two books seperately, but I wasn't patient and didn't write my review for False Memory before I read False Sight. I think that if I wrote reviews for both they would be pretty much identical. Instead I am going to write one review for both and try to have them as spoiler free as possible. False Memory begins with Miranda. She is wandering around a mall in Cleveland with absolutely no memories of who she is and where she comes from. After a terrifying incident, Miranda is saved by Peter, who tells her she is more than human. Miranda has the ability to instill fear and even widespread panic through the use of her mind. She is being trained as essentially a super soldier (but for what Miranda has no idea). False Memory and False Sight are intense. The plot careens on at a break-neck speed and there is constant fighting and drama. I can't remember the last book that I read so quickly (and then had to read again because I missed so much). I will be honest, I get a little hesitant to read any sort of romance from a female point of view written by a male author. The experiences that I have had- the author has given the female character unrealistic characteristics. 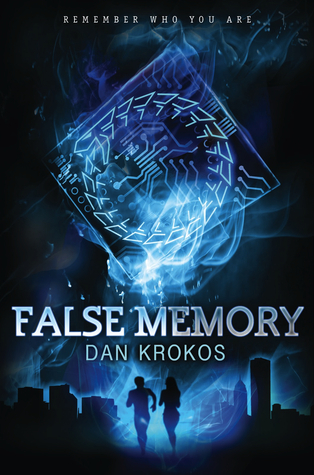 I have to say, Dan Krokos writes a beautiful, and painful, romance in the first two books of this series.... and boy is it convoluted and confusing! (More on that in a second). I found the romantic scenes to be absolutely believable and enjoyed them. Although the romance was dramatic- it didn't feel overdone or like it was trying too hard. Wow these books gave me a headache (and some heart ache). SO much happens in both books- I can't even begin to give all the detail. Like I said before, the books move at a crazy pace. So many details are offered up in the second book, it was hard for me to keep up with everything. And the author is cruel. He took my heart with False Sight and stomped on it. So many bad things happen to these characters and they happen totally out of nowhere. I don't want to go into specifics because my headache and my heartache go hand in hand (which you will understand when you read the series). I mentioned a few weeks ago, when we did the Science Fiction Best Book Ever, that I didn't have a favorite Sci-Fi. I now do. This series is absolutely amazing. I can't wait for the last book to come out. 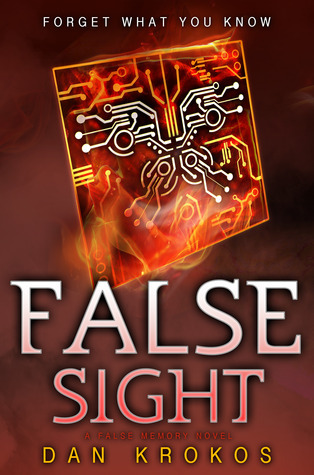 I NEED to know what is going to happen- False Sight had an absolutely crazy ending and it is going to be a very long wait until next August.